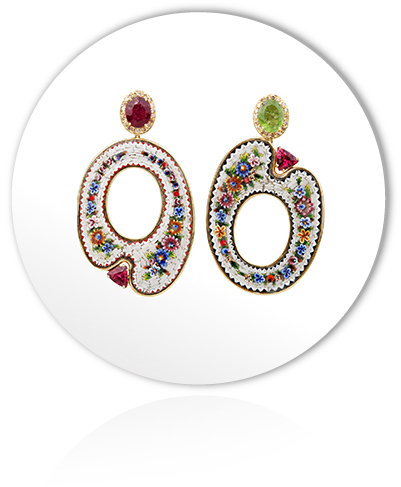 Asymmetrical micromosaic earrings complimented with tourmalines and brown diamonds, set in 18K yellow gold. 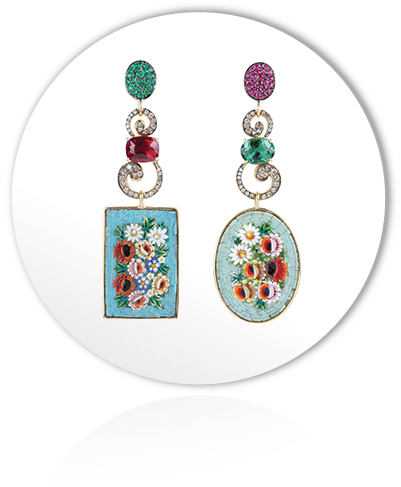 An artistic combination of selected micromosaic pieces mirroring similar colours with green quartz, tourmaline, brown diamonds, emerald and ruby, set in 18K yellow gold. 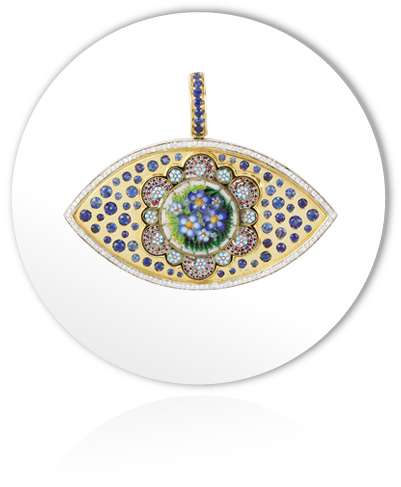 Flower shaped Micromosaic set with diamonds and a degrade of blue sapphires. 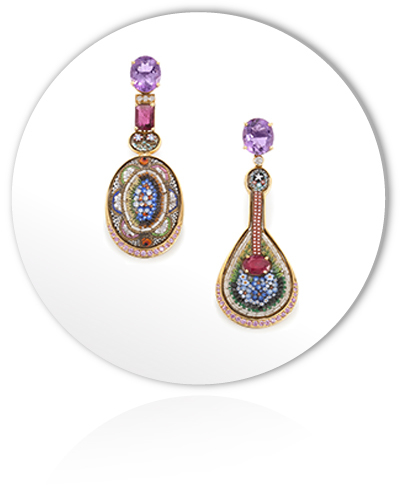 A pair of earrings with a musical twist, set in 18K yellow gold with amethyst, tourmaline diamonds and pink sapphire bringing the artistic touch together in harmony. 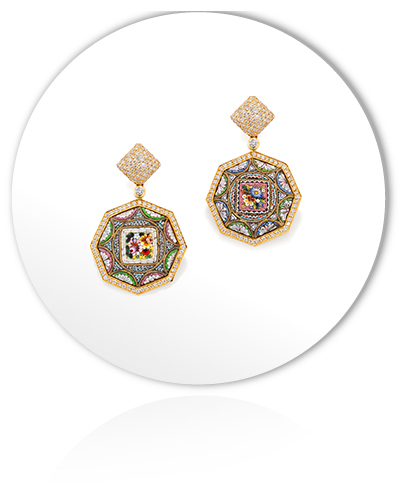 A classic combination of carefully selected asymmetrical micromosaic pieces finely set with extra-white diamonds in 18K yellow gold. One-of-a-kind. Nada Roma collection. 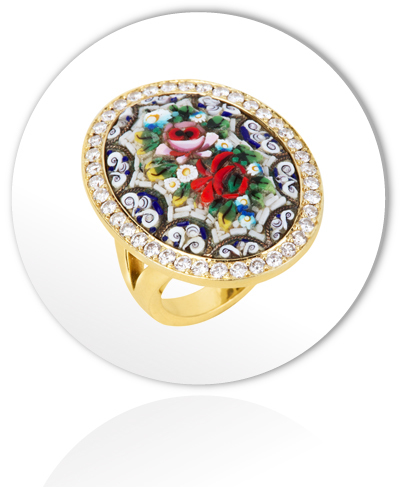 A floral micromosaic ring surrounded with a halo of diamonds on 18k gold.